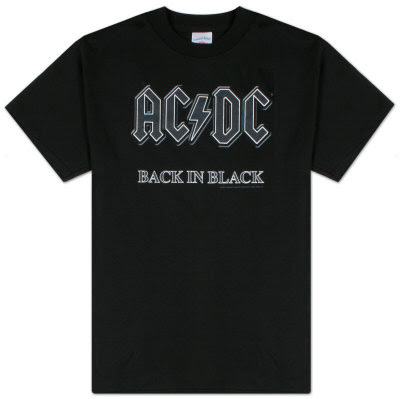 This AC DC tee was only 50p from the boot sale a few months back and its an authentic tour tee too! Its not my style, so it was great that my eldest son decided he wanted it!! But what I want is the Angus Young schoolboy outfit! I like your bargain one better :)- cool that your son took it off your hands! Speechless, you must have been so proud to put up this post - well done! rocking style. have a good one, sharon. 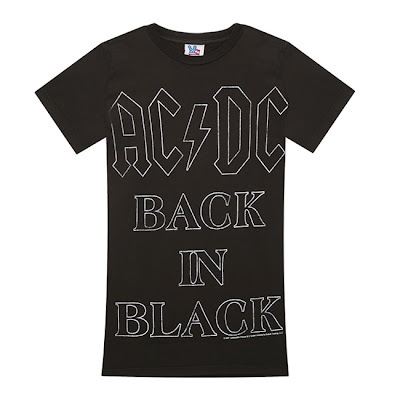 great tee for 50pence,I like rock t-shirts, they look great on a casual day. I'm guilty of loving Junk Food tees. The shape of their t-shirts and the texture is lush, but of course I'd rather part with 50p and have the real thing any time. Hi everyone-thanks for all the fabulous comments!! Wow! And it's waaay cooler, being authentic. I did a post last year when I started the blog about how a 40 plusser could wear a concert tee and get away with it. I determined it has to be nice cotton, in a flattering cut, with not too obnoxious of a design. I wore mine with a sleek dark denim pencil skirt and high heels. I still don't know if I did the right thing, but at least I pushed myself. I love ACDC by the way! Hi there-I've given it to eldest son, but maybe I'll nick it back off him and try it out, LOL!